After conferring with the customer , it was decided that a design with end extensions would be needed for the Trestle Table. Sizes and pedestal design were also determined. 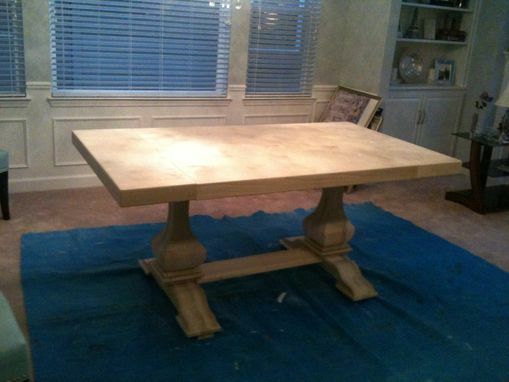 Since the customer wanted to finish the table with a "whitewash" type finish, it was decided to construct the Trestle Table with 3/4" birch plywood for the table top, while solid 1" poplar was used for the remaining parts of the table, including the pedestals & base. 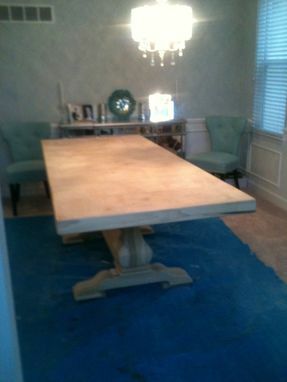 With end extensions locked in place, the Trestle Table top is 72" long x 40" wide. 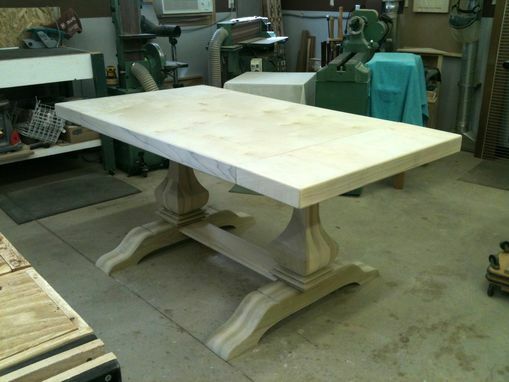 Opening & extending the ends with 2 leaves makes the table top 96" long. The table top also has a 3" apron around the top. There are 2 stretchers, one upper (hidden by the 3" apron) & one lower, that support & lock the pedestals in place. Working with Steve was a terrific experience. I could not be happier with the process and finished product. It is exactly what I envisioned created by a master craftsman. We could not be happier with our new table! 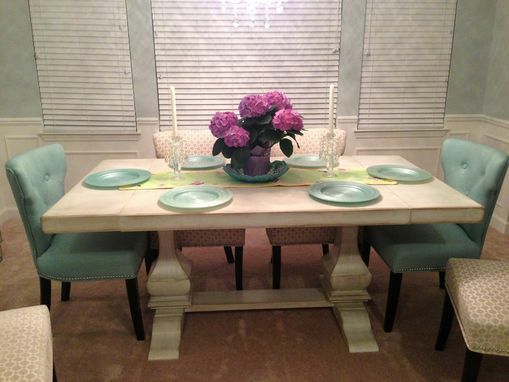 Steve did an amazing job; the table is sturdy, well finished and exactly what we were looking for. Throughout the whole process, he was very engaged - sending regular updates and photos, asking questions, etc. Steve clearly loves what he does, cares about his customer's needs and has a passion for delivering a great product. He was a pleasure to work with and we are looking forward to using this table for years to come!